The Home Styles traditional chest comes in a truly timeless design, perfect for all kinds of decor styles. Its manufactured wood exterior is finished in a tasteful white colour. Clean lines, modern, with a touch of an organic feel with beautiful oak drawers, the Livonia wide dresser 2.0, melds style and functionality seamlessly. With space for storing all your essentials, such as, clothing, books, or electronics, the dresser features drawers perfect for staying organized. Prop a mirror on top, display a television, or showcase decorative items to make it your own. Large drawers provide ample space for all your clothes while maintaining a streamlined silhouette. Use the smaller, separated top drawer to organize smaller necessities. Brushed nickel hooded pulls enhance this 5-Drawer Chest and the solid, tapered wood legs lift it up off the floor, providing a chic, functional addition to any room. Style this dresser on its own, or combine it with any of the products from our Yaletown collection. Create a warm, enveloping nursery ambiance that evokes the quiet of an oceanfront scene! And you can use the handy storage spaces in this 2-piece set to put away all your little treasure's clothes and other things. 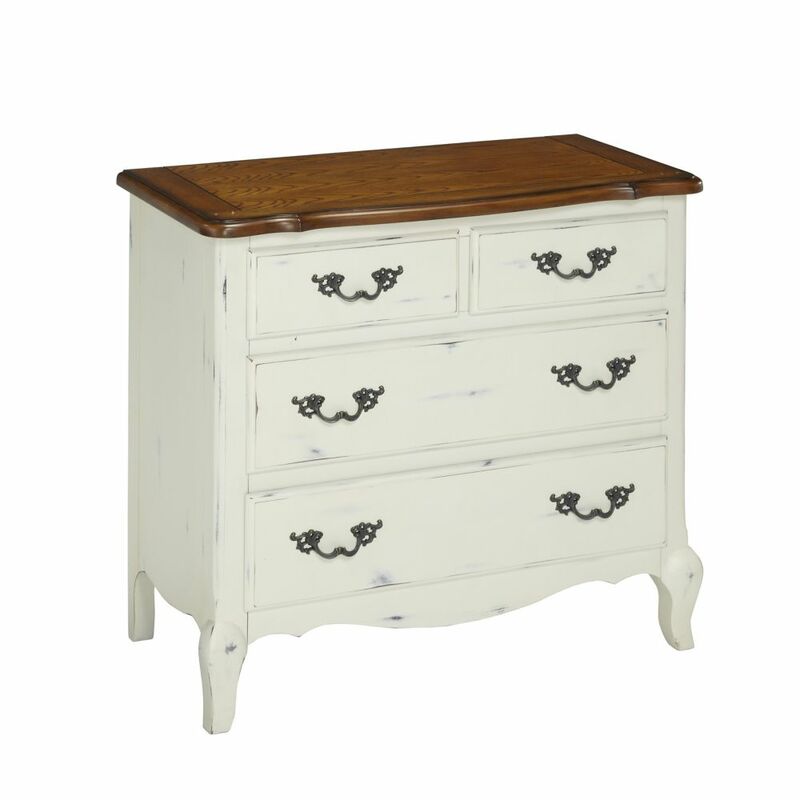 The French Countryside 36-inch x 32-inch x 18.5-inch 4-Drawer Chest in White The Home Styles traditional chest comes in a truly timeless design, perfect for all kinds of decor styles. Its manufactured wood exterior is finished in a tasteful white colour.